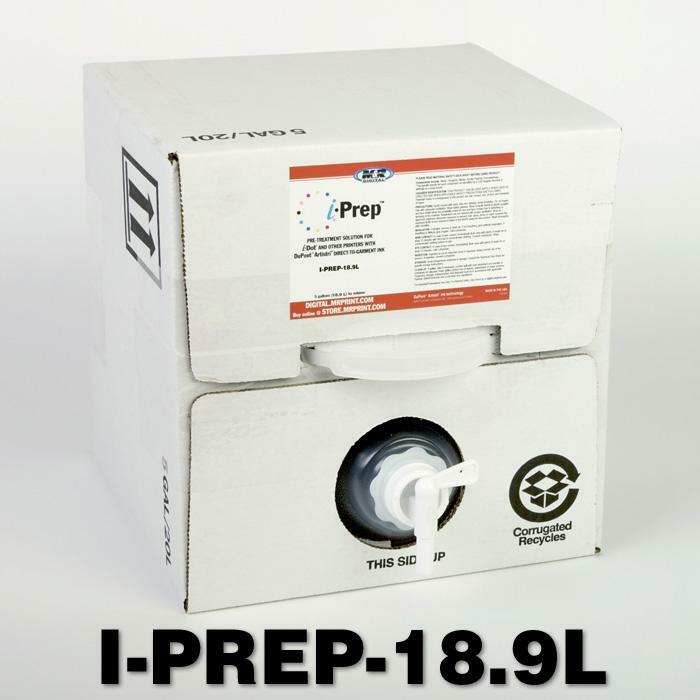 i-Prep Pre-Treatment Solution is a must for digital textile printing on colored and black substrates. When properly applied and cured prior to printing, i-Prep provides the base necessary for vibrant colors and precise results. 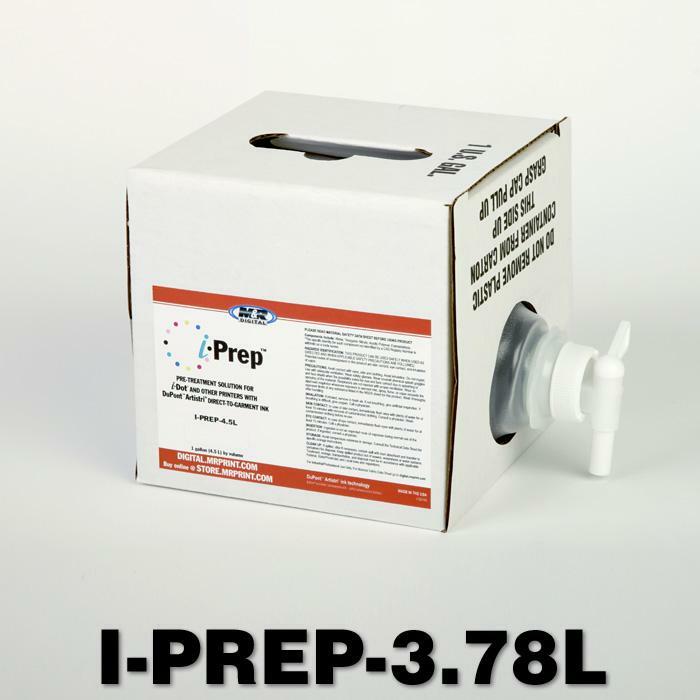 Available in convenient 1-quart and economical 1-gallon and 5-gallon sizes, i-Prep is your best solution for pre-treatment with DuPont Artistri-based white ink.